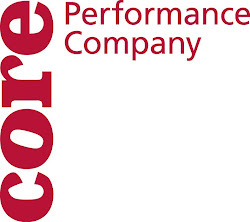 CORE Performance Company: Whose feet are these? Today is TOMS' "One Day Without Shoes" Day. TOMS is an organization that gives one pair of shoes to a child in need every time you by shoes from them. (For more information, check out www.toms.com) We are so pleased to be a part of the celebration and host an event today at our Atlanta CORE studios. So, if you are in the Atlanta area come by the CORE studios today from 3-6pm for our Barefoot Dance Party. In honor of today's event, let's play "Whose feet are these?" instead of playing "Whose socks are these?" Can you identify the owner of these feet? Let us know in the comment section. Also feel free to check out yesterday's interview with Alex Abarca, posts, events, and photos on our Facebook page.